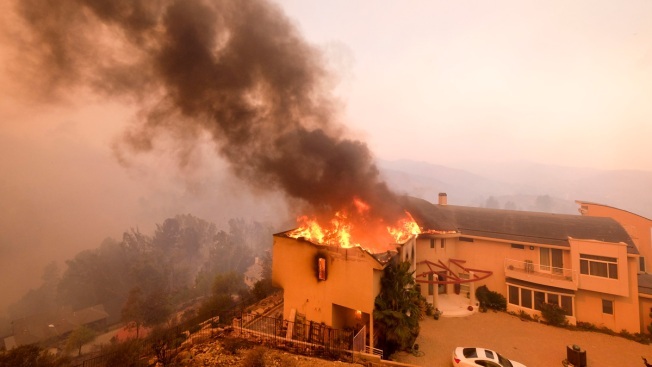 In this Nov. 9, 2018, file photo, a wildfire burns a home near Malibu Lake in Malibu, Calif. About two-thirds of the city of Malibu was ordered evacuated early Friday as a ferocious wildfire roared toward the beachside community that is home to about 13,000 residents, some of them Hollywood celebrities. Hollywood cut back on the glamour trappings of movie premieres as a vast wildfire destroyed or imperiled the homes of celebrities and other Southern California residents. Red carpet ceremonies for the Sandra Bullock film "Bird Box" and "Under the Silver Lake" with Andrew Garfield were canceled Monday, an American Film Institute festival spokeswoman said. That followed the decision to call off the AFI Fest's Sunday red carpet ceremony for filmmaker-brothers Ethan and Joel Coen's "The Ballad of Buster Scruggs." Separately, Paramount canceled a red carpet ceremony and after-party for "Instant Family" with Rose Byrne and Mark Wahlberg, citing the "ongoing, active fires being battled in the area." The studio said food intended for the party was being donated to the American Red Cross. While premieres shed their glitz, there were few reports of industry production affected by the wildfire that has killed two and destroyed more than 400 homes. 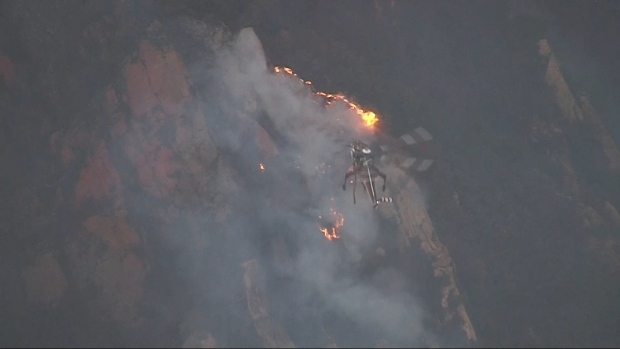 The fire began Thursday and raced toward Malibu and the Pacific Ocean, prompting evacuations in Malibu and nearby areas including Calabasas and Agoura Hills. Comedy Central's "Drunk History" series resumed production Monday in downtown Los Angeles after taping was halted Friday in King Gillette Ranch, a Santa Monica Mountains park, because of the fire burning in the distance. Celebrities including Gerard Butler and Caitlyn Jenner shared their loss or luck online after discovering the fate of their properties. "Returned to my house in Malibu after evacuating," Butler wrote in an Instagram post next to a photo that showed a burned-out structure and a scorched vehicle. "Heartbreaking time across California. Inspired as ever by the courage, spirit and sacrifice of firefighters." "Half-gone," the Scottish actor ("300") said in a video that showed embers, ashes and what's left of his home. Robin Thicke's Malibu home was destroyed, according to his representative. The singer said on Instagram that he, his girlfriend and his two kids are "safe and surrounded by friends and family" and were thankful to firefighters. 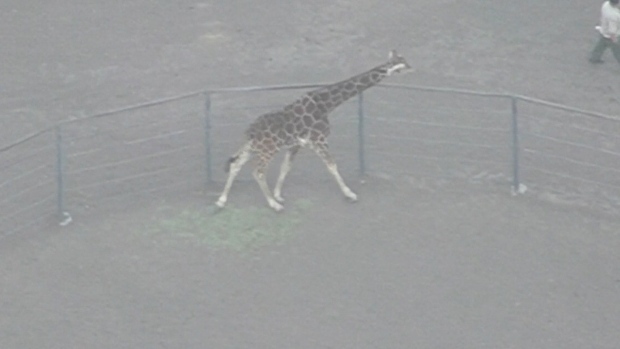 Stanley the Giraffe, who lives at Malibu Wine Safari, had many of his fans worried as the Woolsey fire ripped through Malibu. Sunday, Newschopper 4 spotted Stanley safe and sound. "As we drove to safety, they risked their lives trying to save our home," Thicke said. Lady Gaga, who evacuated her Malibu home and posted online Friday that she was wondering if it will "burst into flames," visited a Red Cross shelter Sunday. Her property's condition was not known Monday. "This is an emergency, but you are not alone," the actress-pop star told evacuees in a video of her remarks posted by website TMZ. Fire officials lifted some evacuation orders Monday, but they warned Southern California residents to remain on alert as strong winds fanned new fires. Flames have claimed multimillion-dollar mansions along with modest homes. In Northern California, more than 40 people were confirmed dead in the wildfire that wiped out the town of Paradise, making it the deadliest wildfire in recorded state history. The search for bodies continued Monday.